Despite a lack of turkey and pigs in blankets, we still went ahead and freeze dried a preliminary test batch of various foods in a recently built freeze drier. 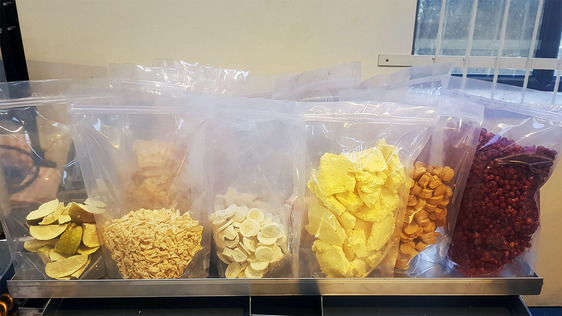 While a final end user would have to tweak the recipe settings for each type of foodstuff, we dried them all at once with a generic recipe over a 16 hour period. I'm sure you'll agree that they turned out very nice! The baked beans were a particular surprise - in a good way! From the left, apple slices, pineapple pieces, baked beans(behind the apple), banana slices, tinned tomato (behind the banana), ice cream, carrot chunks and red berries.